Image courtesy Mainroad North Island Contracting. VANCOUVER ISLAND, B.C. 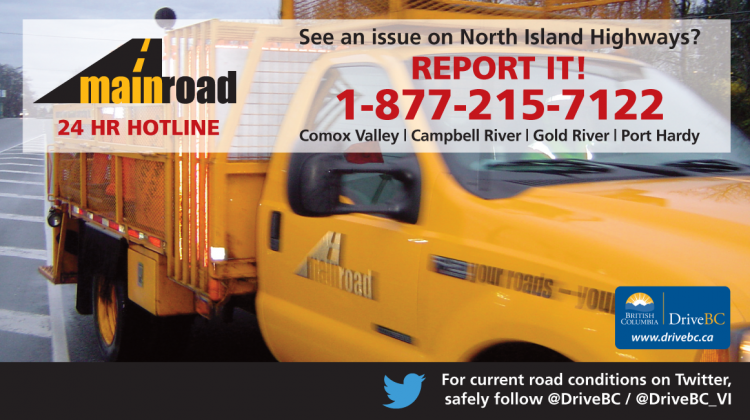 – Motorists are advised of brushing work along a stretch of Highway 19 on the North Island. Mainroad North Island Contracting is doing the work in the Courtenay area. Crews are currently working southbound, just north of the Cumberland exit. The company said it’s estimated that workers will start on the northbound side of Highway 19 starting at the Comox Valley Parkway within the next week. “Brushing maintenance improves sight distance issues and the visibility of road guide signs for motorists,” read a statement from Mainroad. The project will end at Hamm Road by the end of November. “Motorists can expect delays, are reminded to obey signs, watch for roadside workers and traffic control personnel,” read the notice.